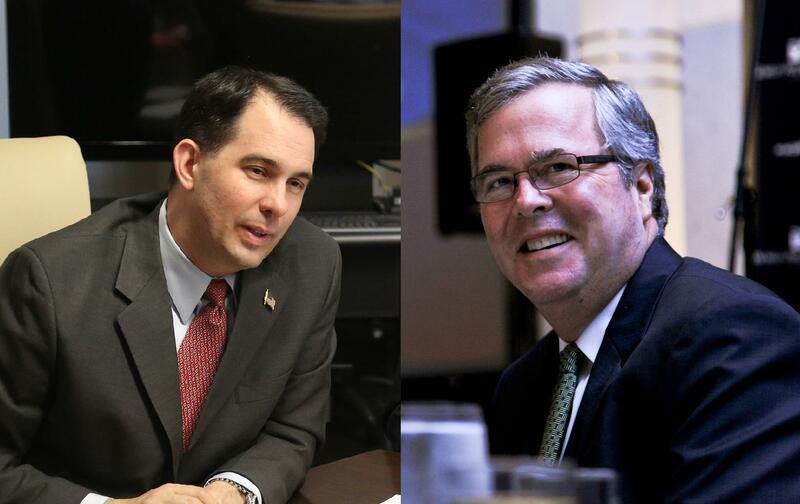 Primary Analysis: Walker, Bush Have Something To Prove In N.H. The New Hampshire Primary is starting to heat up, with several prominent Republican presidential hopefuls expected in the Granite State this weekend. NHPR’s Morning Edition producer Michael Brindley sat down with Dante Scala, an associate professor of political science at the University of New Hampshire. Morning Edition producer Michael Brindley speaks with UNH professor Dante Scala about the New Hampshire Primary. A flood of potential 2016 Republican presidential candidates will be coming through the state this weekend. Can you just run through the list of who we’re going to see? This weekend, we’re going to see Jeb Bush, who’s going to appear both at a house party and at a fundraiser. Scott Walker, the governor of Wisconsin who’s gotten a lot of buzz lately and has moved up from dark horse to front runner, will be in this weekend. Ted Cruz will be here March 15-16. Down the road just a little bit, Kentucky Sen. Rand Paul will be here come March 20. John Kasich, governor of Ohio, on March 24. It’s been a busy month. I think we’ve seen just about a dozen Republican candidates when all is said and done by the end of March. Is it normal to see that type of activity this early in the year before the primary? It’s busy. I think it’s a lot busier on the Republican side than it was four years ago even though it was an open primary four years ago. I think this time around candidates see New Hampshire as much more wide open than we did four years ago when Mitt Romney was running for the second time and really had the state locked up. So they’re willing to invest the time here early on so mostly activists can get to know them and kick the tires a bit. For Jeb Bush and Scott Walker, this is their first visit to New Hampshire, at least as part of a possible presidential run. As we know, first impressions are always important. What are they hoping to accomplish this weekend? For Scott Walker, I think it’s his turn to show everyone that he is all the hype that we’ve heard from the national political media. Here’s a candidate who’s gone from relatively unknown on New Year’s Day to someone who’s touted as a top-tier candidate now and Jeb Bush’s main rival for the nomination. 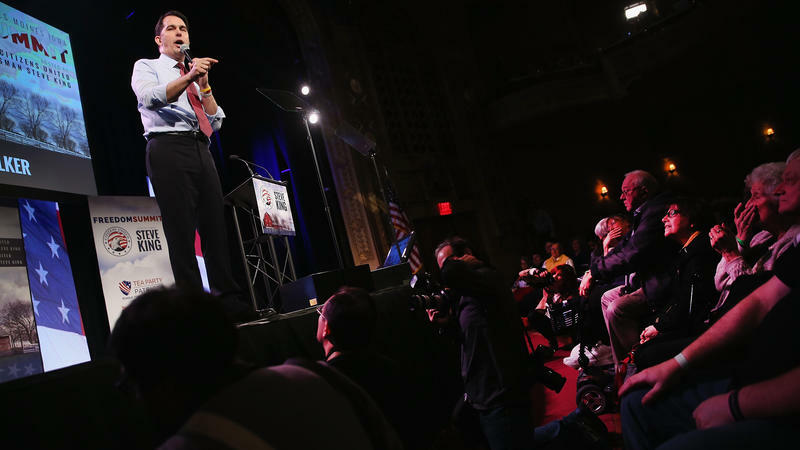 So all of a sudden, for Scott Walker, his visit has changed in terms of its purpose. It’s to introduce himself to voters, which is a typical thing you do this early, but I think there are some expectations now among activists and elites up here who have heard so many positive things about Scott Walker over the last six weeks. 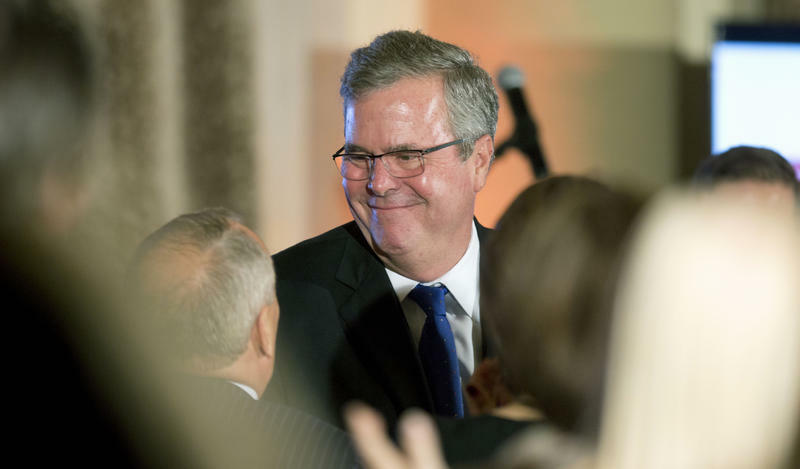 And for Jeb Bush, what do you see as his goals for this weekend? Important for Jeb Bush to show he’s going to run a different kind of campaign than his brother did back in 2000. Fifteen years ago, George W. Bush ran very much a coronation type of campaign in New Hampshire. His campaign started later in terms of visits than his brother is now, but it’s very clear about Jeb Bush that he’s going to have an awful lot of money to run his campaign. But New Hampshire is very important for him and because of the makeup ideologically of New Hampshire Republican voters, it should be friendlier turf than Iowa may be with all the social conservatives out there. So for Jeb Bush, I think it’s important that he’s going to get off on the right foot and prove that he’s going to earn the votes of New Hampshire Republicans, starting with those activists, who are so important in terms of the early chatter about a candidate. How big of a role is fundraising playing right now and who’s winning that battle? Right now, what’s going on is the so-called donor primary. Candidates are auditioning not just in New Hampshire homes, but they’re also auditioning in front of the wealthy donor class of the Republican Party. Everyone recognizes that a legitimate candidate is probably going to have a Super PAC ally working with the campaign in terms of spending money on advertising and so forth come say fall of 2015 and then when the actual contests start. So far, we don’t have any hard numbers. Jeb Bush appears to be having great success tapping into his family’s fundraising network, which is now a couple of decades old. So no one questions that the money will be there for Jeb Bush. Go from there and it’s a little unsure frankly where the money’s going to go. I think a lot of donors are enjoying the opportunity to have candidates to come and talk to them and figure out who’s going to be their best bet. I think there’s a lot of money out there for a conservative to very conservative candidate who intends to oppose Jeb Bush for the nomination. The question is will all that conservative donor money go several different ways or will conservative donors congregate behind one candidate as the anti-Jeb Bush. Let’s talk about the Democrats. We saw this week Hillary Clinton come out and speak publicly for the first time about the scandal over her use of a private email account during her time as Secretary of State. How is this playing here with Clinton supporters and Democrats in general? I suspect nothing that’s happened over the past two weeks has changed Democratic support for Hillary Clinton one bit. Are they a bit more anxious than they were two weeks ago? I think the answer is yes. Are they itching for a campaign to start? I think the answer to that is yes, too. But I think Hillary Clinton’s support in New Hampshire is wide and deep. My colleague Andy Smith who runs the UNH Survey Center shows that her favorable numbers are head and shoulders above any other potential candidate in the Democratic Party. That said, New Hampshire Democrats, some of them at least, are openly pining for a competitive primary. I think that’s for a couple of reasons. One is activists enjoy the game. I think they look at their Republican counterparts with jealousy. That their Republican counterparts are seeing a dozen candidates in a month and they’re not seeing much of anything at this point. I think also activists enjoy the debate within the party. They like to see their candidates in person trying things out, being challenged. I think a lot of activists in the Democratic Party would say it would be good for Hillary Clinton to have a challenge to get her prepped for what will undoubtedly be a tough general election. But I think Hillary Clinton is going to have to run into much bigger trouble than she has so far for her support in New Hampshire to be shaken. “At the time, this didn’t seem like an issue,” Clinton said in her first public comments since it was disclosed last week that she exclusively used her private email for government business and housed her communications on a personal server. 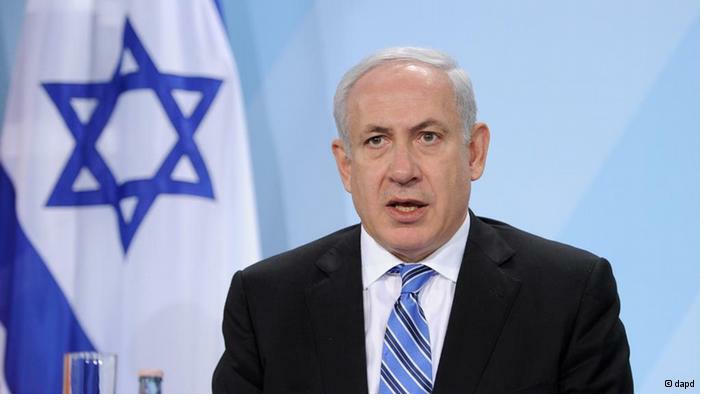 We will check in with Political Junkie Ken Rudin about some of the top stories in politics this month: Israeli Prime Minister Benjamin Netanyahu stirs the political pot with his address to Congress this week, a last minute deal kicks the funding can down the road for the Department of Homeland Security, and President Obama makes good on his veto threat for the Keystone Pipeline. Former President Bill Clinton is coming back to New Hampshire, the state that helped lead him to the Democratic nomination in 1992, to rally support for the state's Democratic candidates. 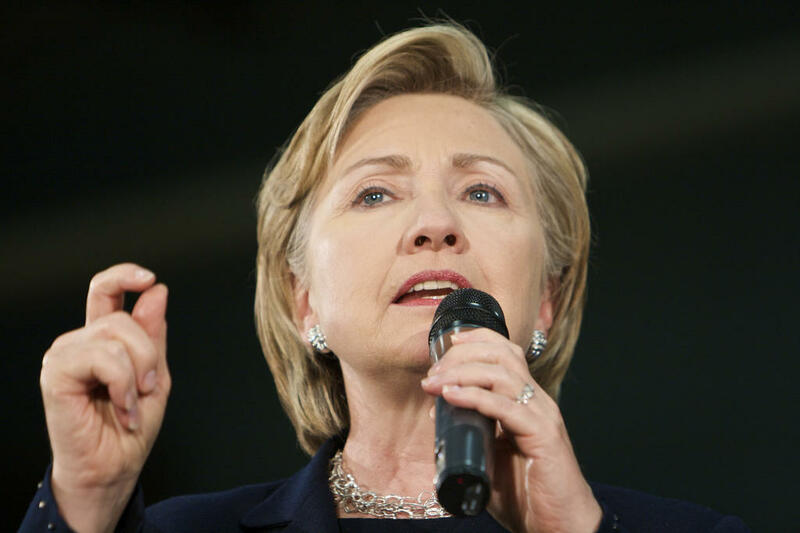 Clinton will headline the state Democratic Party's annual dinner in Manchester on Thursday. The Democratic incumbents topping the party's ticket — Gov. Maggie Hassan, U.S. Sen. Jeanne Shaheen and U.S. Reps. Carol Shea-Porter and Annie Kuster — will also speak. Clinton's wife, former secretary of state Hillary Clinton, will campaign with Shaheen and Hassan two days before the Nov. 4 election. Hillary Clinton's first grandchild has caused the former secretary of state and potential 2016 presidential candidate to postpone a Washington, D.C., fundraiser for a New Hampshire lawmaker. Clinton was scheduled to attend a fundraiser with state Sen. Lou D'Allesandro, a Manchester Democrat, on Tuesday alongside former Massachusetts state Sen. Steve Baddour. Chelsea Clinton gave birth to a daughter, Charlotte, on Friday. D'Allesandro's office said the fundraiser has not been rescheduled yet. She's been Secretary of State, a US Senator, First Lady, the world's most admired woman... and now she's gone viral. 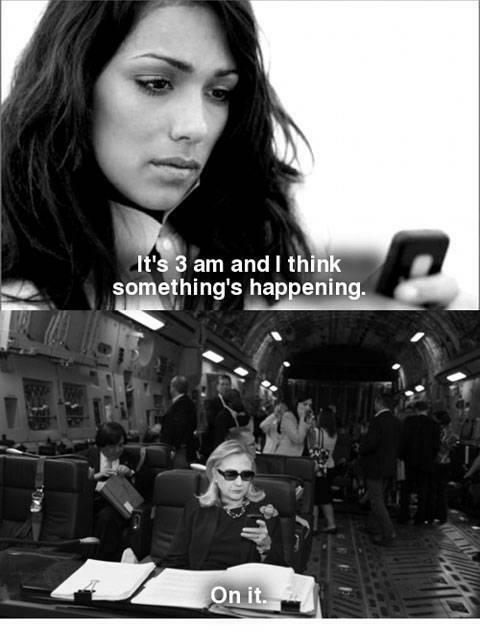 Hillary Clinton is a meme, thanks to the Texts from Hillary Tumblog. There is not a lot of love between the U.S. labor movement and those on the long list of potential 2016 Republican presidential hopefuls. But there is one name among the GOP prospects that labor truly despises — and fears. He is Wisconsin Gov. Scott Walker, who weakened unions in his own state and appears ready to make his battles with labor a centerpiece of a bid for the White House. Jeb Bush, the former Republican governor of Florida and the brother and son of two former U.S. presidents, has essentially kicked off the 2016 presidential campaign with a pre-announcement announcement on Facebook. Saying he had conversations with his family about the future of the country, Bush said he had decided to "actively explore" a presidential run.